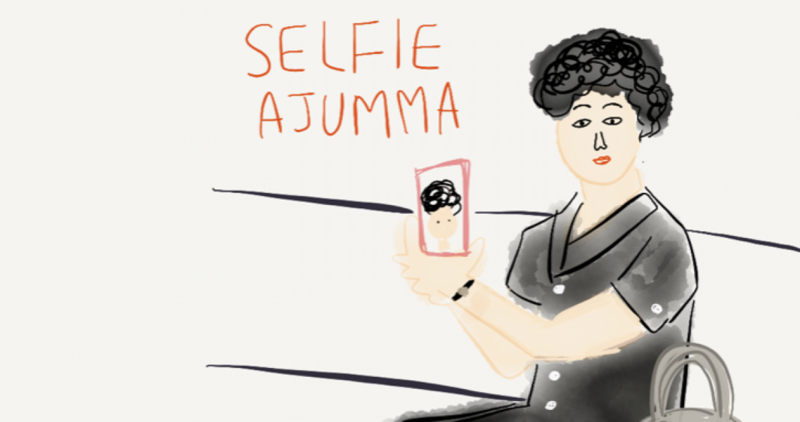 I reckon ajummas are normally recognised as superwomen who care their family, friends and neighbors. And they know how to enjoy their lives in their own ways as well. I’m not interested in this party and the election rather I’m posting this photo only because she uses the ‘ajumma’ and their identity for the campaign. That’s it. And this poster tells how ajummas are recognised among people in Korea in a positive way. Well, they didn’t return to us. They are always with us. Posted on 28 Dec 2015 28 Dec 2015 by moon ajummaPosted in Smart Ajumma (English)Tagged ajumma, 아주머니, 아줌마, 한국, Korea, the return of ajumma. Previous Previous post: 아줌마가 돌아왔다?